You really can’t have enough tools for your visuals to make your content stand out. New tools bring more inspiration, creativity, and more ways to get your images in front of relevant audiences. The more tools you get to know, the more you are able to experiment, and the more varied your visual marketing tactics become. Therefore, I share some newer, less-discussed visual marketing tools to help you improve and diversify your visual content marketing strategy. You see lots of image-creation tools repeated from roundup to roundup. Here’s one of the most popular. I bet you haven’t heard of these tools – to create, to plan, and to promote visual content. 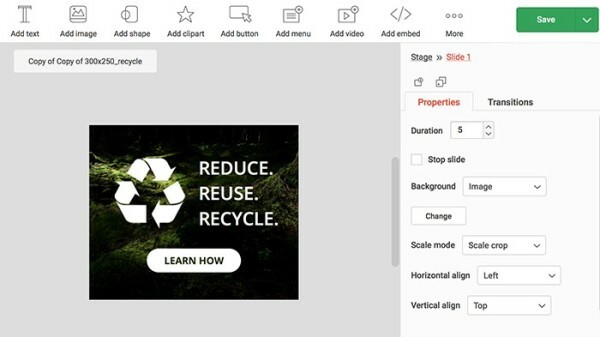 The newest feature of well-known app Haiku Deck Zuru is a great way to repackage your presentation into lots of awesome visuals. 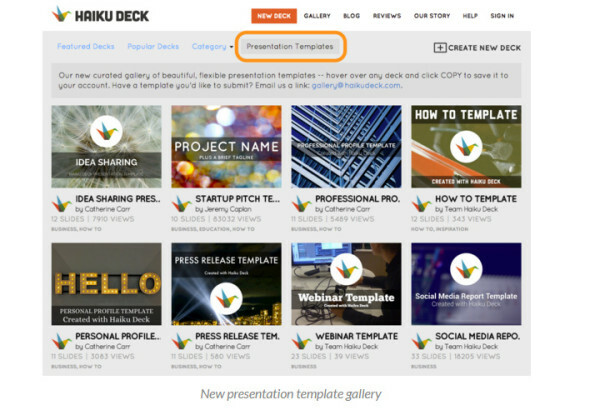 Upload your presentation, let Haiku Deck Zuru work on it for awhile, suggest some related tags and images (to help the app), and generate a collection of much more beautiful slides. The visuals turn out better when you don’t have too much text on the slides so I usually end up deleting or skipping text-heavy slides. Datawrapper is by far the easiest way to visualize data. Using visuals to reflect numbers-related content can be useful in so many ways – presentations, infographics, etc. Cool charts and stats visualizations are popular as social media posts so you may find yourself using this tool every day. Export your information, customize with a couple of clicks, and then embed or share the visual anywhere you like. The tool offers line, bar, stacked-bar, map, donut, and table charts as the basic templates. Upgrades enable you to check out the gallery for more options. You can download completed charts in PNG formats if you want to take them offline as part of a presentation. 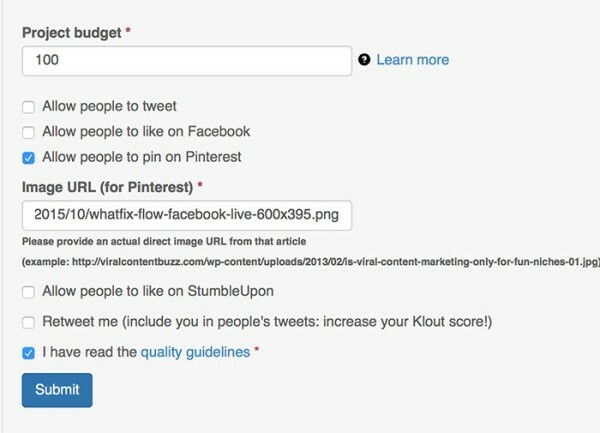 These two tools will help you scale, plan, and semi-automate effective sharing of your visual content. Note: I am sure you can name many more tools to accomplish this, but I am only listing two of the newest ones. DrumUp is a great way to re-share visual quotes across social media channels and schedule repeated shares. DrumUp supports LinkedIn, Facebook, and Twitter. Plus, you can link to your Facebook Business pages and LinkedIn Company pages. I recommend sharing manually the first time to make sure all social media tagging is done properly and schedule a few re-shares weeks (or even months) ahead. 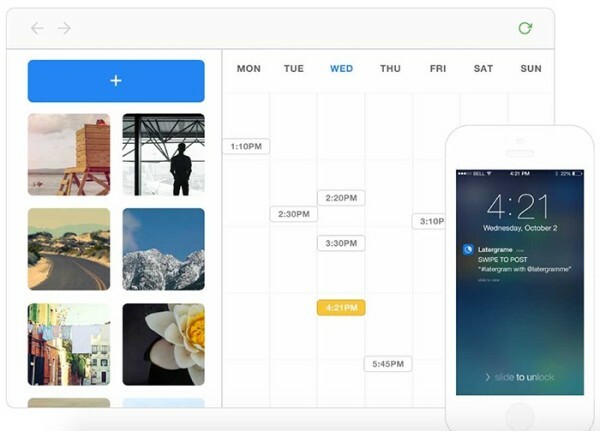 Later is the only reliable Instagram scheduler I am aware of. The thing is, Instagram isn’t allowing post scheduling through an API. If you see any Instagram schedulers, they essentially break Instagram rules by using workarounds. Later is different: It forces you to confirm each scheduled update before it goes live. 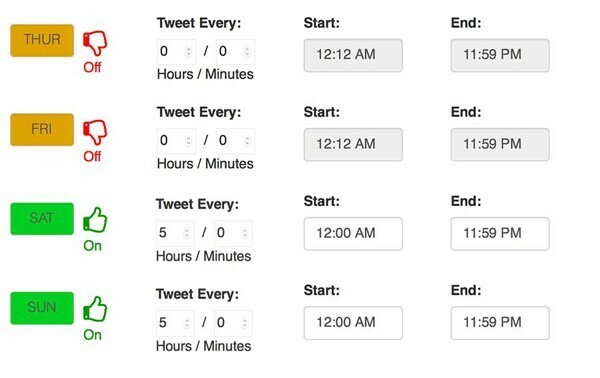 I use this tool not to schedule, but rather to engage my team in our company’s Instagram-managing process. You can add contributors to your Later account. They can submit photos, then you can put them on the schedule, and publish. I have found this to be the most reliable way to keep our corporate Instagram account constantly active (and thus quickly growing). You can also add multiple Instagram accounts and get your team to contribute to any of them. Finally, if you’ve spent hours putting together great visuals, you want to make the most of their promotion. 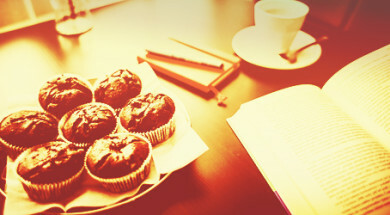 These tools can make your image promotion more effective and likely expand your reach. Among the major social media platforms, Twitter’s updates have the shortest life span (about 18 minutes if you have a solid following). Therefore, sharing one update a few times on Twitter is a valid and wise tactic. That’s where Tweet Jukebox comes in handy, as it allows you to scale for multiple tweet-sharing, including visual tweets. 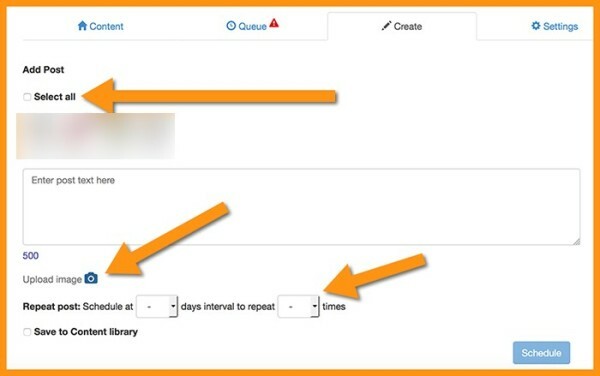 You can organize your updates in boxes and manage each box based on its own separate schedule. Once set up, a box lives its own life, promoting your updates again and again. Viral Content Buzz is the only social media promotion platform that has a strong focus on quality and supports Pinterest. Using this free tool, you can create a project, enable Pinterest, and see how it works. Your article must have a good image in order for Pinterest promotion to work. 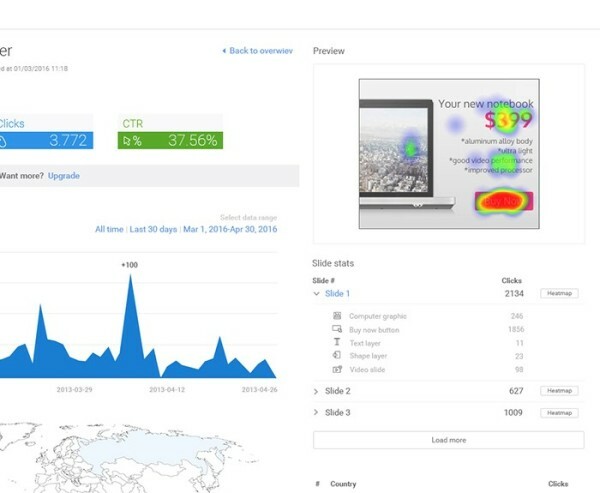 What other visual marketing tools are not receiving the coverage they deserve? Please share in the comments. Stay updated on the latest tools to grow your content marketing success. Subscribe today to our free daily or weekly newsletter. Dan Steiner is an entrepreneur, author, and marketing influencer. He is an active mentor in the California startup community, and has helped numerous brands grow over the years. Currently he serves as CEO at Elite Legal Marketing, a law firm marketing agency. Dan's published work has been featured in dozens of media outlets, including Entrepreneur, Inc, HuffingtonPost, GoDaddy, among many others. When he’s not writing or speaking, you can find Dan at the gym, backpacking, or volunteering at his local animal shelter. Follow him on Twitter and LinkedIn.